Last Sunday, thousands of people watched the Master’s Tournament to see Tiger Woods complete a comeback from personal and professional adversity. He captured his fifth Masters title and his 15th major tournament after a decade of scandal, body pain, surgeries, and rehabilitation. But through hard work and determination, the Master’s victory instantly returned him to the top of the sports world. It was a monumental come-from-behind victory for Tiger, who was born Eldrick Woods. Tiger’s father Earl began calling him Tiger very early on in honor of one of his best friends from the Vietnam War, Col. Vuong Dang Phong, who was called “Tiger”. 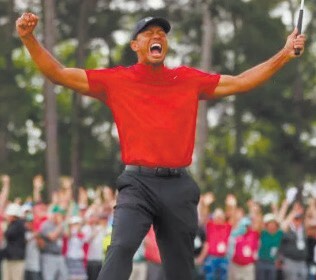 As such, it was only fitting that after Tigerwalked off the 18th hole on Sunday, he was overcome with with well-wishers, including many of the golfers he competed against over four days at Augusta National Golf Club. 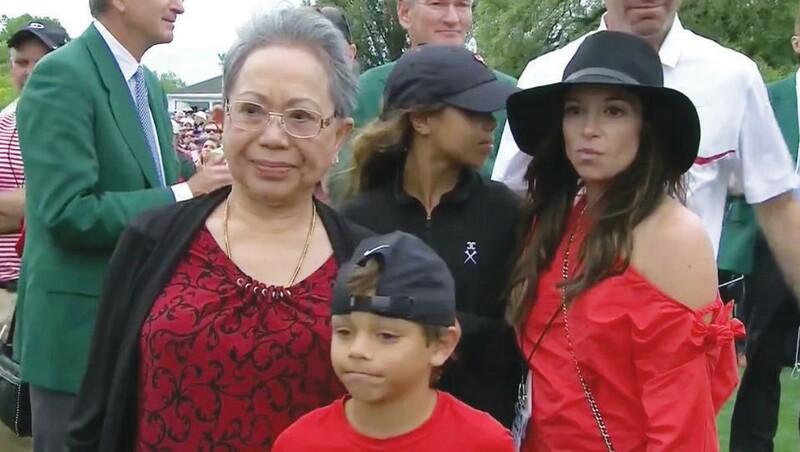 Tiger Woods mother shown with daughter Sam, son Charlie and girlfriend Erica Herman. Photo courtesy of CBS. Woods played with shrewdness and determination over the final stretch of holes while the other players who were grouped with him on the leaderboard took turns succumbing to the pressure of trying to win the Masters. When Tiger tapped in his final putt, he released a joyous shout that revealed how much the victory meant to him. At 43, Woods became the second-oldest winner of the Masters, behind Jack Nicklaus, who won in 1986 at age 46.